The Cavaliers have agreed to a trade with Milwaukee that will return fan favorite Matthew Dellavedova to Cleveland along with forward John Henson and a pair of draft picks in 2021. The Bucks will get veteran point guard George Hill and forward Sam Dekker from the Cavs, a person familiar with the deal told the Associated Press. Milwaukee has agreed to trade Dekker to the Washington Wizards for center Jason Smith and a future second-round pick. The deals are pending league approval and could be finalized Friday night, said the person who spoke on condition of anonymity because the teams have not yet had the mandatory conference call with NBA officials. There was an urgency to get the deal agreed to before 6 p.m. on Friday because only players on rosters by then can be re-packaged in other trades before February’s deadline. Hill recently returned after missing 11 games with a shoulder injury, and the Cavs have been shopping him around for a deal. Dekker has also been sidelined with a severely sprained left ankle. Both Hill and Dekker were at Quicken Loans Arena preparing for a game against Sacramento before learning they were being moved. Dellavedova’s scrappiness endeared him to Cleveland fans during his three seasons with the Cavs, who didn’t re-sign the player known as “Delly” after winning the 2016 title. The Cavs are 5-19 and in transition after LeBron James left them as a free agent this summer, effectively ending Cleveland’s run as an Eastern Conference power. But the Cavs are thinking about the future and by moving Hill and Dekker, they’ve picked up more assets. Cleveland recently traded sharpshooter Kyle Korver to Utah for two picks in 2020 and 2021.The Cavs are targeting 2020 to land a big-name free agent, and should have plenty of salary-cap space to add one. The 28-year-old Dellavedova will get a chance re-start his career with the Cavs. The Australian had been buried on Milwaukee’s bench and is averaging just 1.7 points and 2.4 assists in 12 games. Henson recently underwent surgery to repair a torn ligament in his left wrist. He’s averaging 5.6 points and 5.1 rebounds in 14 games. Hill’s departure will give rookie guard Collin Sexton, the No. 8 overall pick in this year’s draft, more room to grow. 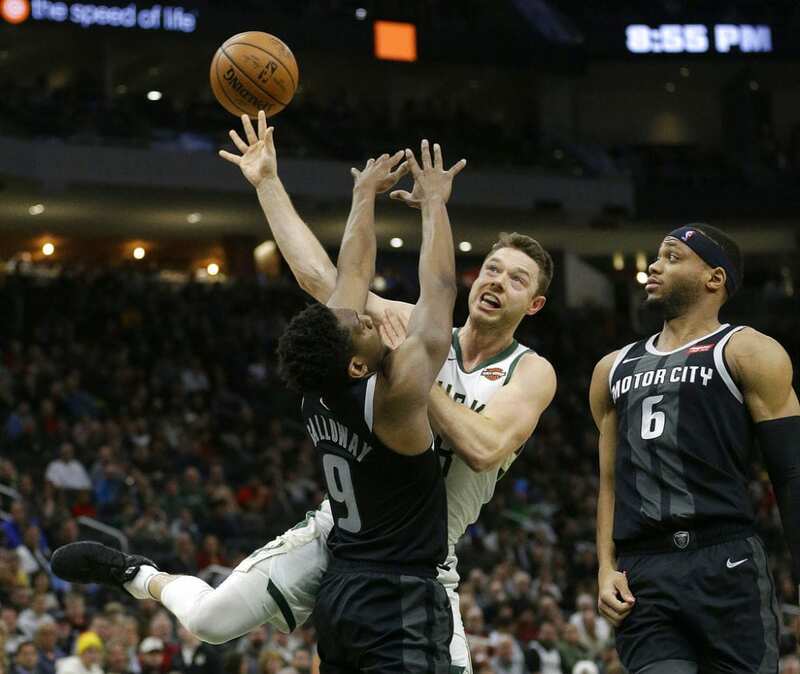 The Bucks are getting a 46-percent shooter from 3-point range in Hill, who fits into their new long-range shooting philosophy under first-year coach Mike Budenholzer, plus a backup to starter Eric Bledsoe. They also could potentially save roughly $16 million in salary, assuming that they waive Hill after this season. Budenholzer declined comment before Milwaukee’s game against Golden State. Be the first to comment on "AP Source: Cavs To Re-acquire Dellavedova In 4-Player Trade"